Stats: From Dawson Saddle to Mt. Baden-Powell: 2.6 miles, 979′ gain, 370′ loss. From Mt. 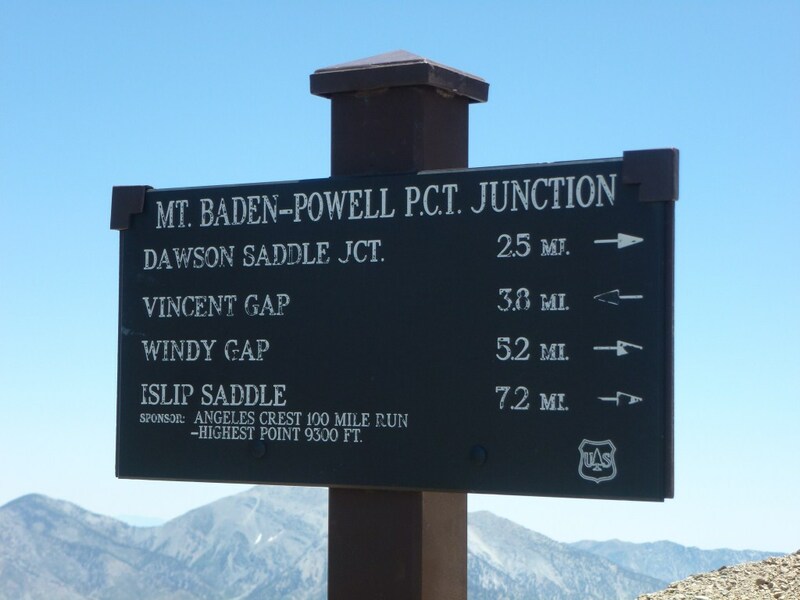 Baden-Powell to Dawson Saddle: 2.6 miles, 370′ gain, 979′ loss. Round trip: 5.2 miles, 1349′ gain and loss. 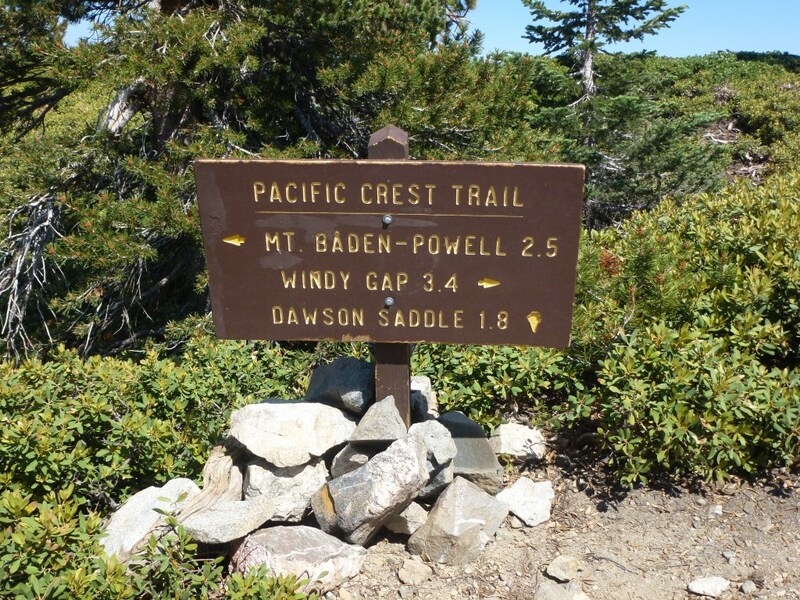 Follow the directions on the trail sign at the junction of the Pacific Crest Trail and the Dawson Saddle Trail. Trail sign at junction with Dawson Saddle Trail. 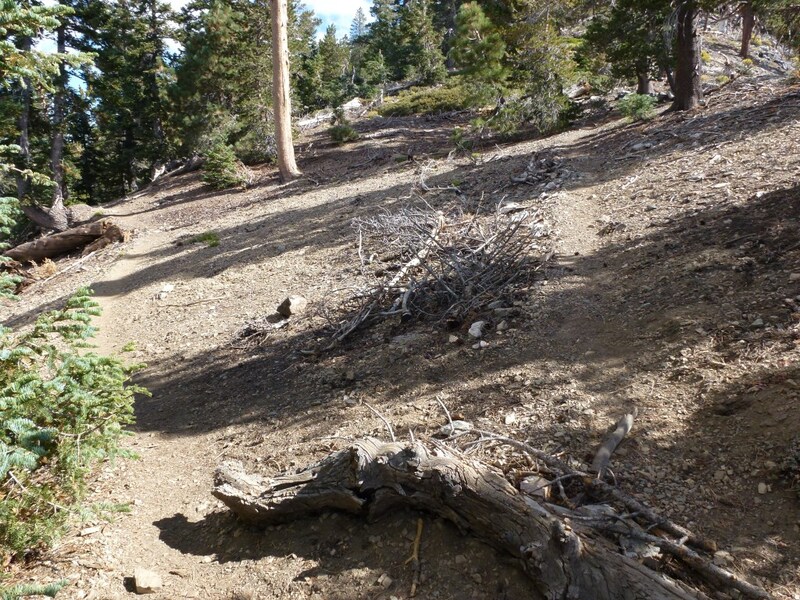 Along the Pacific Crest Trail, there is a subtle junction that leads up to Mt. Burnham. If you go to Mt. Burnham just follow the ridge at points where the trail isn’t clear. Mt. Burnham adds about 100′ of gain to the trip and is about 0.1 miles shorter. Otherwise go around Mt. Burnham along the Pacific Crest Trail. Junction leading to Mt. Burnham as seen coming from Dawson Saddle. The trail on the left follows the Pacific Crest Trail around Mt. Burnham. The trail on the right leads to the summit of Mt. Burnham. Junction leading to Mt. Burnham as seen coming from Mt. Baden Powell. Up on the left leads to the summit of Mt. 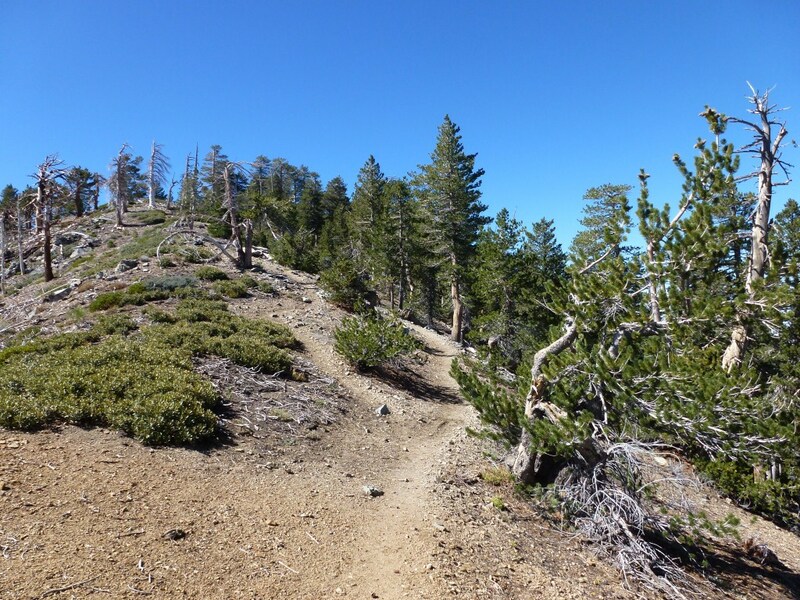 Burnham, the trail on the right follows the Pacific Crest Trail around the mountain. 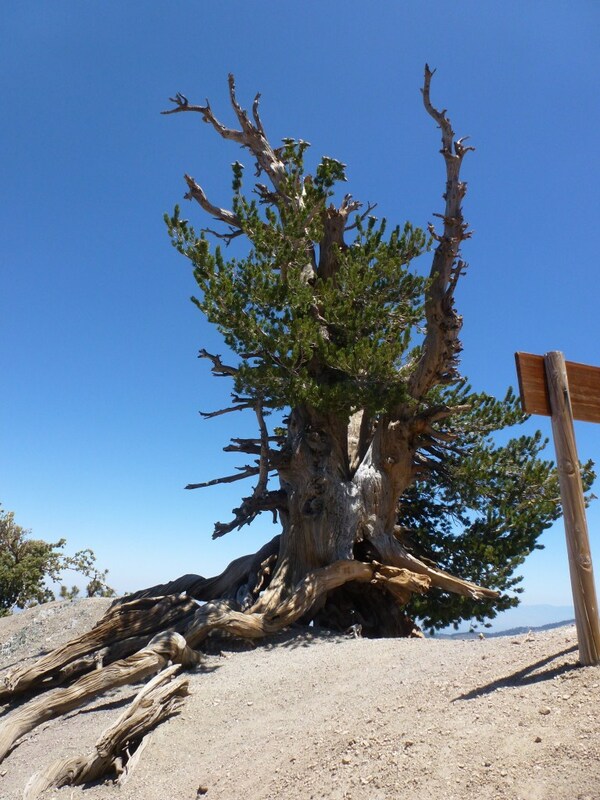 At the Wally Waldron Tree (which is about 1500 years old) you reach the summit trail leading up to Mt. Baden Powell. Just make your way up past the tree and continue up to the summit.